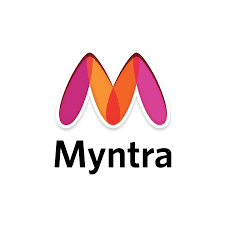 Myntra PhonePe big Offer- Get Flat 25% Cashback On Myntra When You Pay Using Phonepe.Read the Terms & Conditions of Phonpe offer as well as Myntra offer.This offer is limited period.So hurry up and get 25℅ Cashback on myntra on pay using Phonepe. How to get 25℅ Cashback this offer?? 1- firstly of all you,Download Phonepe app hear. 2- install & open the Phonepe app. 3- sign up & login for account. 4-Select the item and added to card In myntra. 5-process to next step and fill all required details. 6-go to payment page and select payment through Phonepe. 7-using Phonepe complete the payment. 8-Done you will get Cashback. Get 25% Cashback* on payment via PhonePe on Myntra. Cashback valid only for the first two transactions within the offer period, starting 17th February 2017 6pm till 21st February 2017 midnight 12'o clock. A maximum cashback of ₹ 500 per transaction can be availed through this offer. Offer valid only on payments through UPI, Credit Card and Debit Card within the "PhonePe" option on Myntra checkout. Cashback will not be offered on payments through wallet. Cashback will be valid only if the transaction is processed through "@ybl" VPA handle or through PhonePe linked bank account or through PhonePe app. Refunds are processed on a pro-rata basis.